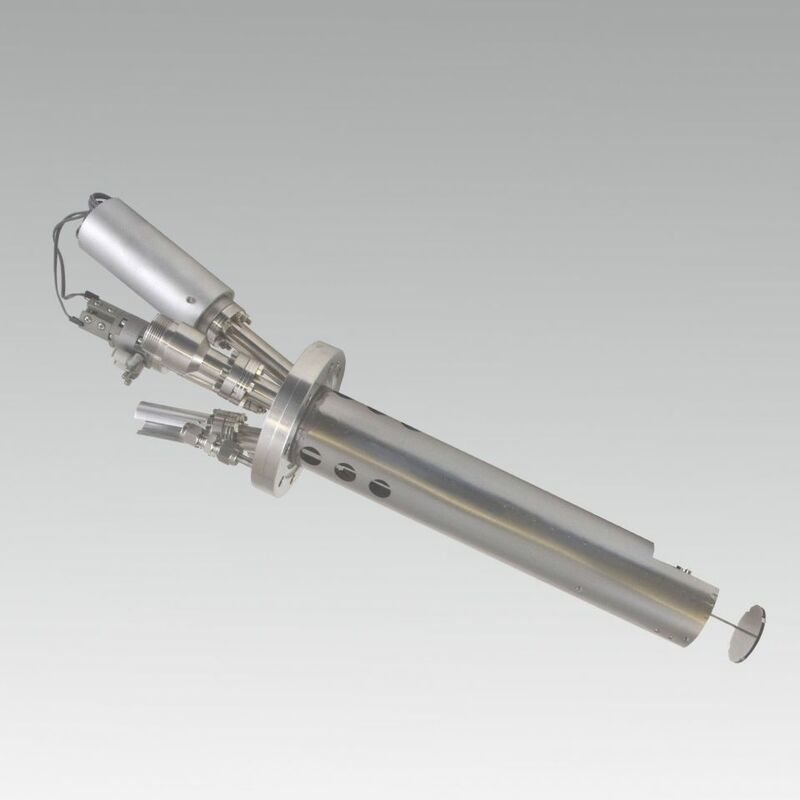 The Electron Beam Evaporator - AX (EBE-AX) is designed for use in MBE systems to generate thin films on substrates through vapor deposition. This deposition technique is typically operated in a vacuum range from 1x10-11 to 1x10-5 mbar and allows an efficient material utilization relative to other methods, which yields a high deposition rate from 0,1µm/min to 100µm/min at low substrate temperatures. The film thickness can be controlled by a rate monitor and a shutter. The sublimation is realized through direct electron bombardment of the deposition material without heating up the whole crucible. The electrons are extracted from a tungsten filament through VDC-annealing and accelerated towards the deposition material by means of high voltage in combination with a magnetic deflection of the electron beam. The process is a form of physical vapor deposition (PVD). Furthermore a water cooling system tempers the crucible holder.